The above link is to a book I just read. I’d give this one five stars. See review below. 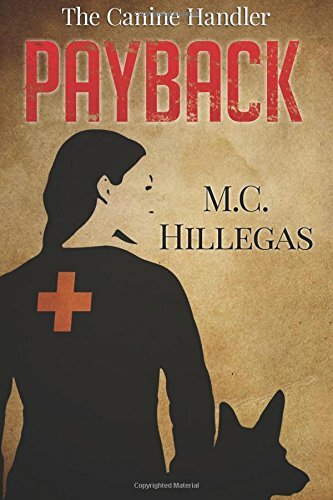 In this debut novel, M. C. Hillegas creates characters so believable, so real they could be you or me. No perfect, model people here. The story leaves the reader feeling invested in their plight. The protagonist, Sarah Gavin, is a young woman with ambitions for a future with the FBI; and a past that could easily have done her in–and it’s still trying to. By the time we meet her, she’s working on a volunteer search and rescue team with two of her own air-scenting canines. Something the author explains well, weaving it into the plot as the story proceeds. Without giving too much away, the antagonistic force is the ghost of her past within a social system that failed her in her youth. The action, the plot, and the dialogue work together to keep the reader in the story. I read this book in two days, because, yes, I know it’s cliche` but, I couldn’t put it down. The plot twists are sometimes subtle, sometimes heavier, more intense and immediate, but all connect. This author wields the plot twist well. The story is focused, and no, it does not sag in the middle. The last few chapters slow down somewhat, but there’s more to come. Can’t wait for the next installment.